Kids look so great in stylish outfits, but who wants to pay high-end prices when clothes are outgrown so quickly? 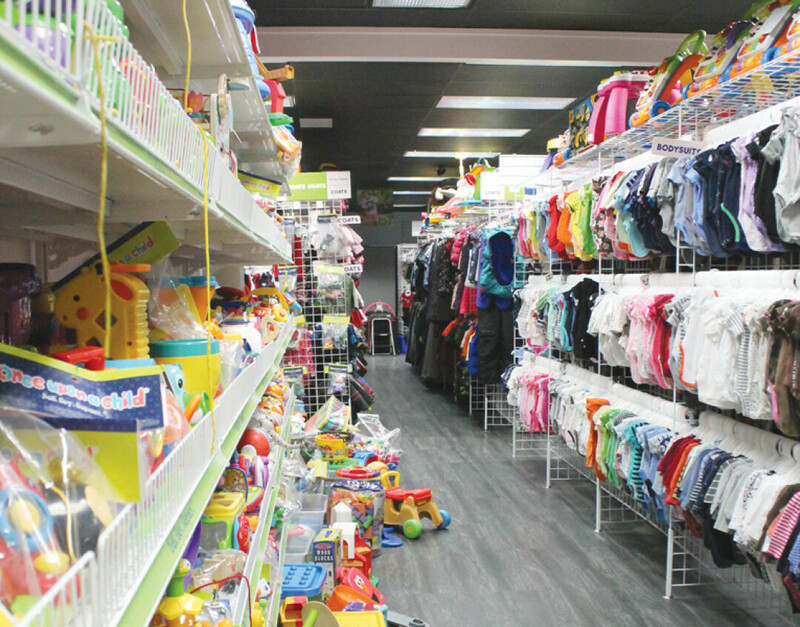 Once Upon A Child offers the perfect solution: the latest in gently used brand name clothes, shoes, toys, books, equipment, and furniture…just right for fast-growing babies, toddlers and youth. 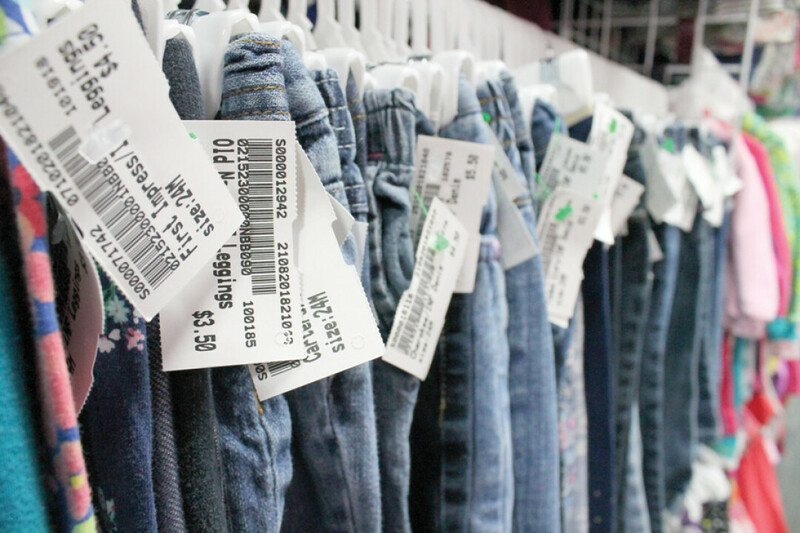 At Bozeman’s newest children’s resell store, you’ll find affordable options for kids’ items that are name brand and in great condition, and you are given the opportunity to recycle your children’s nearly new items and get paid on the spot, a great alternative to donating your best items or placing online ads and waiting and dickering. 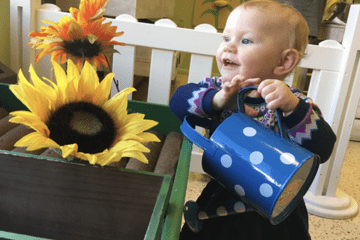 Most Once Upon a Child franchisees are moms or dads who were customers first and have chosen to bring this unique retail store to their community; the Martens are no exception. Kristen and Jake Martens have both achieved professional success at small companies and large companies alike, and this is their first experience owning their own business. Jake and Kristen have a love for children. They have raised (co-parented) / are raising (co-parenting) kids from ages 21 to 4. Kristen has lived in Bozeman for 8 years; she moved here for her corporate job with Oracle (formerly RightNow Technologies). Jake is also a vice president at Oracle and has lived in Bozeman for 2 years; he moved here for Kristen. While visiting her parents in Scottsdale, AZ in early 2018, Kristen visited a Once Upon a Child and instantly thought it was a great concept. Her 4-year old son was always outgrowing his clothing, shoes, toys, etc., and there wasn’t any place to take them in Bozeman. She wondered why we didn’t have something like this here. Digging deeper into the franchise, she quickly realized that they have proven to be very successful - with over 400 businesses in the U.S. and Canada. Kristen says, “The model is relatively simple but a lot goes into the pricing, promotion, marketing and running the business in general. 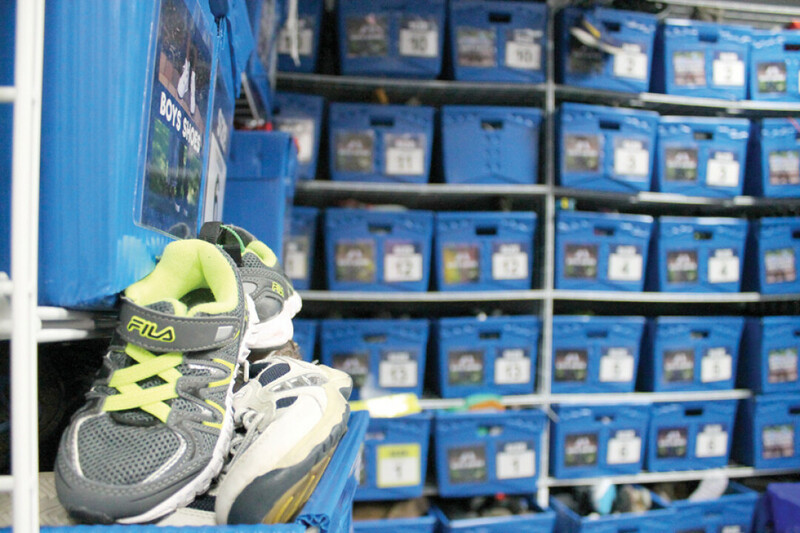 I also love how the stores are all the same regardless of where you go - the stores are organized by gender, size and color.” Within nine months, the Bozeman location was buying and selling in Bozeman. Better yet, you can visit them in person at 200 South 23rd Ave, located in the Albertson’s Shopping Center. Sign up in-store for their loyalty program and earn points toward your next purchase and receive sale and promotion text messages, so you’ll never miss the next BIG deal. Within the greater Bozeman community, the Martens and Once Upon A Child have partnered with three local non-profits: 1) Love Inc., a Christian ministry made up of a partnership of local Christian churches serving individuals and families in need living in Gallatin County. 2) Thrive, providing local Gallatin Valley families with the resources, tools, and support they need to raise healthy, successful children. And 3) World Languages-Bozeman, working to bring world language and culture programming to K-8 students in Montana. Once Upon A Child will be working with all three groups to expand its impact wherever possible. The next time one of your kids has a growth spurt save yourself the hassle of garage sales and online listings and swing into the nation’s leading buyer and seller of name brand, gently used kids’ stuff. Simply gather up all their gently used stuff and bring it to Once Upon A Child for payment on-the-spot for all items accepted. If you have kids, you need Once Upon A Child.